I’ve posted the Olympus SP590 Ultra Zoom Photo Gallery which contains full-sized pictures taken by the camera. Be sure to check out the Olympus SP590 Ultra Zoom review for more about this relatively compact super zoom with a huge 26X optical zoom lens. Here’s the Nikon Coolpix P90 Photo Gallery containing full-sized pictures taken by the camera. Be sure to check out the Nikon Coolpix P90 review as well. Here’s the Panasonic Lumix TS1 aka FT1 Photo Gallery containing full-sized pictures taken by the camera. Be sure to check out the Panasonic Lumix TS1 aka FT1 review for more about the camera as well. Here’s the Canon EOS Rebel T1i aka Canon EOS 500D aka Canon Kiss Digital X3 Photo Gallery containing full-sized pictures taken by the camera. Be sure to check out the Canon EOS Rebel T1i aka EOS 500D review for more about the camera. Here’s the Canon PowerShot SD780 IS Digital ELPH aka Digital IXUS 100 IS Photo Gallery containing full-sized pictures taken by the camera. 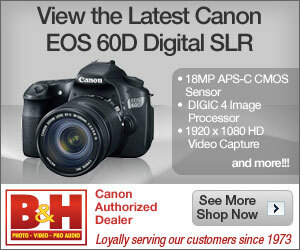 Be sure to check out the Canon PowerShot SD780 IS Digital ELPH/Digital IXUS 100 IS review for more about the camera. Here’s the Sony Cyber-shot T900 Photo Gallery containing full-sized pictures taken by the camera. Be sure to check out the Sony Cyber-shot T900 review too. I’ve posted my review of the Olympus FE45. The FE45 is one of Olympus’ latest low cost entry-level digital cameras, it features 10 megapixels, 3X optical zoom, a 2.5 inch LCD and a relatively simple set of point-and-snap features. There’s also the Olympus FE45 photo gallery I’ve put online. I’ve posted the Olympus FE45 Photo Gallery which contains full-sized pictures taken by the camera. Be sure to check out the Olympus FE45 review for more about this entry-level camera. Here’s the Nikon Coolpix L20 Photo Gallery containing full-sized pictures taken by the camera. Be sure to check out the Nikon Coolpix L20 review as well.